NASA awards $3 million contract to Space System/Loral to begin process of hosting a space laser communications relay demonstration terminal payload aboard a commercial satellite. ISRO plans to launch its biggest spacecraft ever, the 5,000-kg GSAT-11, by 2014. New nanosat designed by European Satellite Agency promises new opportunities to test ground-breaking satellite software on an actual mission in space. Upon receipt of an overdue payment of $56.25 million from LightSquared, Inmarsat agrees to suspend further payments until 2014, giving LightSquared some breathing room. Next-generation DVB-S2 satellite service offered out of Perth, Australia by SpeedCast in partnership with SatComms Australia, finds its first major customer in Saxon Energy Services. SES-4, launched on February 15th, the 50th and largest satellite in the fleet, is now fully operational and ready for service at orbital location of 338 degrees East. Second Advanced Extremely High Frequency communication satellite ready for launch May 3, poised to give war fighters a 10 fold increase in capacity after years of delay in the program and a glitch that almost scuttled the first AEHF satellite. Europe’s latest second-generation meteorological spacecraft, MSG-3, arrives in French Guiana to be readied for June 19 dual-payload launch on Ariane 5. The second satellite of the United Arab Emirates’ space communications program, Y1B, is ready to be launched on a Proton launcher from Baikonur in Kazakhstan on April 23. Space Systems/Loral completes construction of Intelsat 19 ahead of schedule, and the satellite is now at the Sea Launch home port in Long Beach. Asia Broadcast Satellite seeks $215 million loan from Export-Import Bank of the U.S. for construction of new satellites. Honeywell agrees to work with satellite communications company Inmarsat on providing in-flight internet connection for airline passengers. SES and Encompass Media sign capacity deal making NASA TV channels available to satellite TV providers and cable outlets throughout the U.S.
Report from U.S. State and Defense Departments states that China is stealing U.S. military and civilian space technology in effort to disrupt U.S. access to intelligence, navigation and communication satellites. U.S. Defense and State Departments jointly recommend that Congress ease export controls on satellites that have become less militarily sensitive to allow American companies to better compete in the world market. FCC sets deadlines for comments on plan for flexible use of 2 GHz satellite band, moving closer to proposal that could allow Dish to launch its LTE network. Telesat’s Nimiq 6 satellite, built by Space Systems/Loral, arrives at Baikonur Space Center in Kazakhstan, where it will be launched on a Proton Breeze M vehicle. Australia’s NBN process of moving ahead with satellite construction and launch plans ahead of actual approval of the satellite slots meets with ITU requirements since the application for the slots is underway. Communications on four Eutelsat satellites will be used to cover the French Presidential elections. Raytheon successfully downloads and delivers Defense Weather Satellite data via Antarctica with 50% reduction in latency. Hughes announces the addition of Ka-band mobile satellite equipment and other communications products to its GSA schedule 70 contract. RRSAT and THAICOM extend contract for global distribution of Vietnam Television. Unfurlable mesh antenna reflectors aboard DoD’s recently launched MUOS satellite are successfully tested in space. University of Navarre’s doctorate thesis describes satellite antenna array designed as a cone such that “radiation is uniformly incident on all parts of the Earth, thus avoiding some zones receiving more energy than others”. ITT Exelis, Britain’s BAE Systems and L-3 Communications Holdings have created a joint venture to bid for a huge contract to manage and maintain the U.S. Air Force’s satellite launch and test ranges. 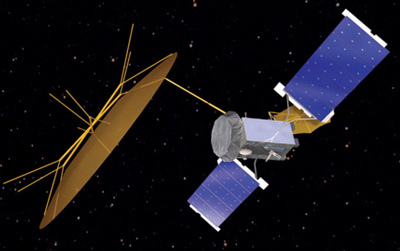 Kratos Integral Systems International selected by Boeing to provide turnkey ground segment solution to support entire constellation of Boeing 702 and Orbital STAR2 satellites for MEXSAT. Kratos Defense & Security Solutions subsidiary RT Logic releases CyberC4(TM), a family of cyber security products designed specifically for the satellite industry. Military takes control of fourth WGS satellite following completion of on-orbit tests by Boeing. European Space Agency struggles to restore contact with its massive 10 year old satellite Envisat, after it lost touch with Earth. Intelsat and PCCW Global of Hong Kong agree to interconnect their MPLS networks to expand the IntelsatONE terrestrial network. Undisputed evidence showing ICO waived its claim for breach of a satellite contract by Boeing leads to three-judge appellate court’s reversal of a 2008 jury award to ICO against Boeing for over $600 million. 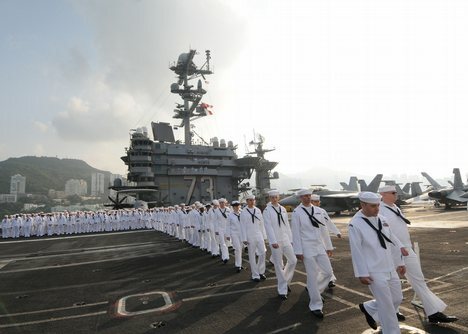 Sailors who have grown up used to instant access to friends and family by broadband and the Internet are finding themselves and their families stressed out when they go to sea and have these lines of communications restricted or severed. Some scientists believe that a solar storm on April 5, 2010, observed by NASA satellites TWINS and IBIX, was responsible for the loss of control of Galaxy 15, which drifted out of control for almost a year before operators regained control and returned it to its assigned orbit. This entry was posted on Monday, April 23rd, 2012 at 8:33 am	and is filed under Astronomy, Front Page, NASA, Rockets & Launches, Satellite TV, Satellites. You can follow any responses to this entry through the RSS 2.0 feed. You can leave a response, or trackback from your own site.